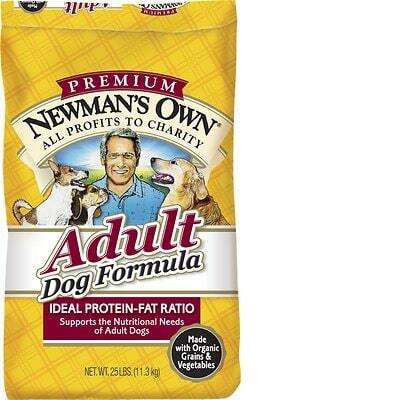 Newman's Own Adult Formula is a low-priced dog food with great quality. This product has no controversial ingredients, including no artificial preservatives, colors and flavors. The food, however, has a high amount of carbs, compared to its protein and fat but does have excellent meat and fat quality. Newman’s Own has no recalls and was overall pretty transparent when answering our questions. Chicken, Organic Barley, Organic Oats, Organic Peas, Chicken Meal, Organic Sorghum, Organic Soybean Meal, Chicken Fat (Preserved with Mixed Tocopherols), Organic Brown Rice, Organic Millet, Organic Rice, Organic Flax Seed, Dicalcium Phosphate, Organic Carrots, Natural Flavors, Salt, Calcium Carbonate, Potassium Chloride, Dried Kelp, Parsley, Zinc Proteinate, Choline Chloride, Iron Proteinate, Vitamin E Supplement, Rosemary Extract, Manganese Proteinate, Lecithin, Copper Proteinate, Vitamin B12 Supplement, Vitamin A Acetate, Niacin, Calcium Pantothenate, Vitamin D3 Supplement, Ascorbic Acid (Source of Vitamin C), Riboflavin, Folic Acid, Pyridoxine Hydrochloride, Thiamin Hydrochloride, Biotin, Cobalt Proteinate, Ethylenediamine Dihydriodide (Source of Iodine), Sodium Selenite, Dehydrated Lactobacillus Acidophilus Fermentation Product, Dehydrated Bacillus Subtilis Fermentation Product, Dehydrated Bifidobacterium Thermophilum Fermentation Product, Dehydrated Enterococcus Faecium Fermentation Product. The average dog food we reviewed has 39 total ingredients, with 1 controversial ingredient. We are happy to report that this food has 0 controversial ingredients. 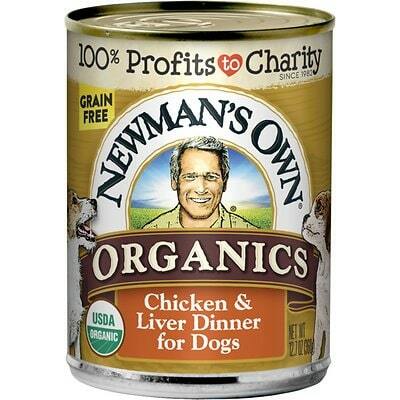 Newman’s Own did a great job on the ingredients in this dog food. Zero controversial choices! This dog food is made in the USA. This means the food manufacturer has to follow high quality and food safety laws, so it’s a good thing. Chicken, Chicken Meal and Chicken Fat are the meats and major fat sources here. All three are clearly labeled as to which animal source they come from, that’s excellent. Last but not least, we didn’t find artificial flavors in this dog food. No controversial artificial preservatives, colors or flavors - we love when dog food brands skip all of them. Well done! 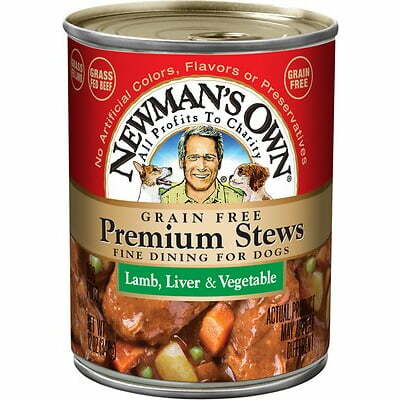 Newman's Own has a below-average number of recalls for their dog food. Newman’s Own did not respond to our first email, but did respond to the second. This longer response time was likely due to having their corporate veterinarian respond. All but one question was fully answered. We have a team of consulting animal and veterinary nutritionists, including a board certified veterinary nutritionist, that develops our formulations. Again, because of confidentiality agreements with suppliers and consultants, I can't provide specific names. Pet nutritionists generally choose to remain anonymous as they often consult for several companies. We do not do animal testing, but all formulas are developed in accordance with the nutritional profiles established by the Association of American Feed Control Officials and based on NRC requirements. Our pet foods are manufactured in pet specialty cGMP facilities in the United States and Uruguay. The treats are made in the US, Canada and New Zealand. All facilities were inspected by our vice president of technical services, and the ingredients are validated by Oregon Tilth, an independent third-party organic certifying agency accredited by the USDA..
All products are manufactured to comply with standards for good manufacturing procedures, and macro and micronutrients are routinely analyzed for determined levels. Oregon Tilth validates the integrity of ingredients for incorporation into made with organic formulas. Our products are manufactured in pet specially facilities as described above. We do not identify these facilities for reasons of confidentiality.